Zavalyevskiy Graphite Company produces and supplies crucible graphite of GT grade, Ukrainian State Standard GOST 4596-75. The graphite is packaged in a four-or five-layer paper bags. The net weight of graphite in a bag is no more than 30 kg. 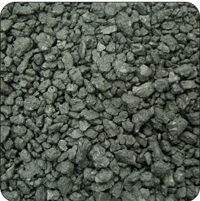 Crucible graphite GT-1 is used for the manufacture of refractory products, melting crucibles. The ash content is 7%, average grain size is 75% + 80%. The use of crucible graphite (GT) increases the thermal conductivity of the products, makes them more resistant to high temperature and heating rate. Being practically infusible and chemically inert to many materials, graphite confers high inertia to the products, improves their quality, smoothens the surface of the crubicles so that molten metal does not stick to them. Zavalyevskiy Graphite is a monopoly in Ukraine and the European part of the CIS for the production of graphite products. The previously developed technological regulations of Russian and Ukrainian graphite-using industrial enterprises create the demand for all grades of the Zavalye graphite as for obligatory technological materials to use in the production. The company's products are highly regarded in the international markets and are exported to Russia, Belarus, Kazakhstan, Turkmenistan, Azerbaijan, Japan, America and the countries of Western and Eastern Europe. If you are looking for crubicle graphite to buy at factory price, you are welcome to contact Zavalyevskiy Graphite Company! Zavalivskiy graphite from manufacturer: 100% quality! Zavalivskiy crucible graphite - quality, reliability, availability!